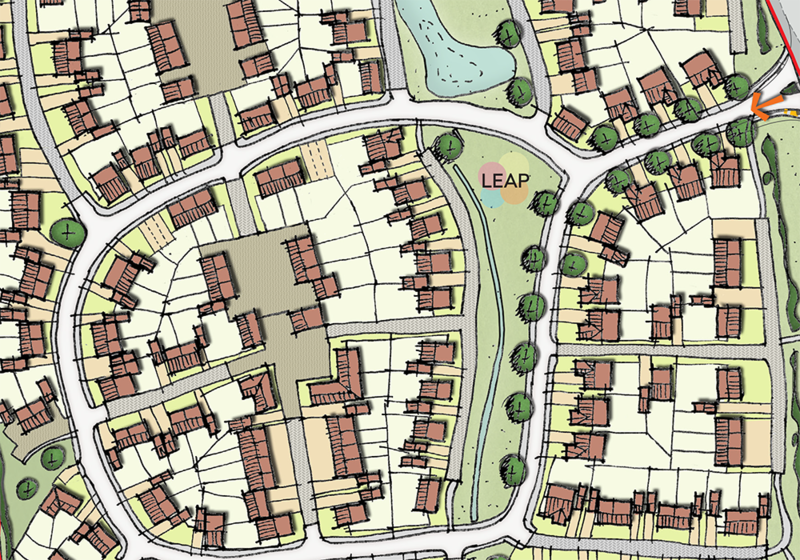 Node worked on behalf of developer Land Fund to initially promote, then create an outline masterplan and design and access statement for a residential site in Perton in South Staffordshire. 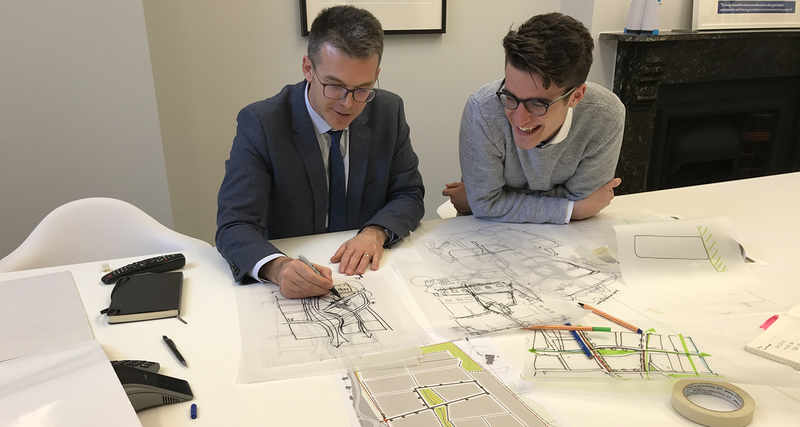 We worked with the client and with Housing Plus, a local social housing provider to devise a masterplan that created a high quality, mixed community with a strong landscape framework that included significant drainage features. 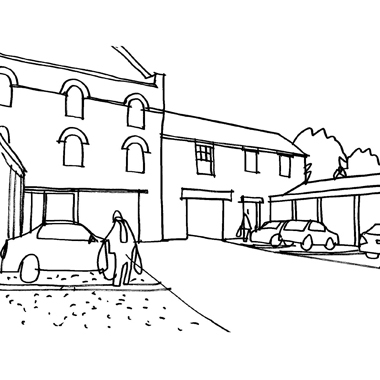 Our residential layout concept included a series of larger ‘macro’ blocks with smaller, individual perimeter blocks within, allowing the creation of a variety of street types across the development. 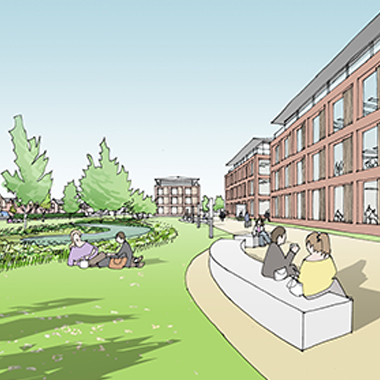 We engaged collaboratively with South Staffordshire District Council throughout the design development process to ensure that our proposals reflected the density and mix that the local authority had recently defined through the local plan process. 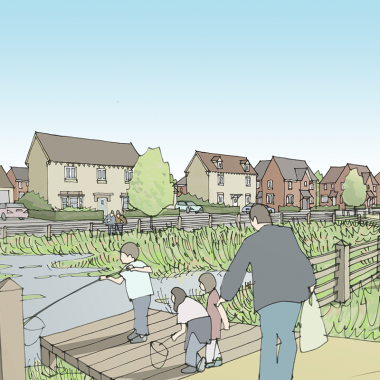 The site forms part of a wider allocation that includes additional ‘safeguarded’ land to the north, so all of our proposals ensured that they could work effectively with and without this land. 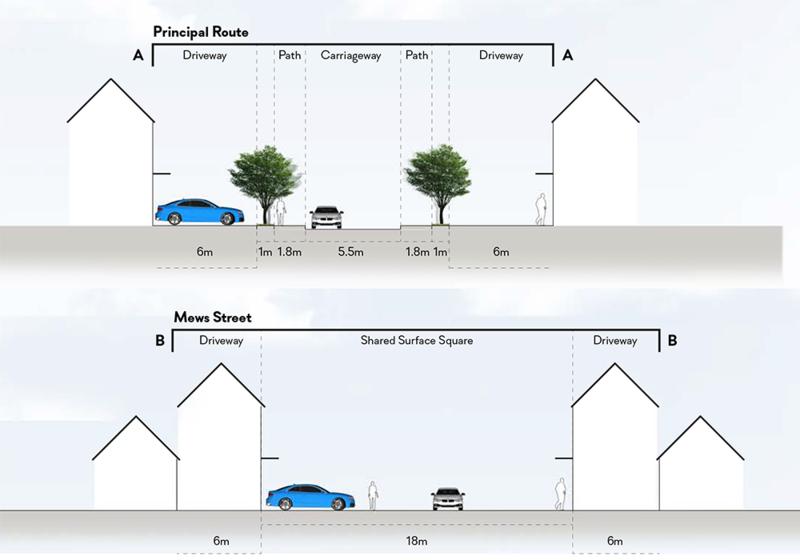 Planning permission was granted for the initial site in December 2018, with the safeguarded land to the north likely to subsequently come forward for development.